The High Noon Casino brings all of the action of the ol’ Wild West directly into the homes of players across the United States. Stepping into their casino lobby immediately launches players into an old time saloon with player pianos pumping, whiskey flowing, and cards flying. Check out High Noon for generous bonuses and an amazing casino comp program for U.S. residents. The High Noon Casino is unleashing wild bonuses on U.S.A. players in the form of a 200% welcome offer up to $2,000, and a $60 free casino chip. Bang! Bang! Our following review of the High Noon Casino for Mac owners living in the USA provides you with all of the information that you need to know before opening an account, and how to choose the best bonus for you. We also discuss a few of our favorite casino games, whether or not they are Mac compatible, and how to make a real money deposit into your account. Is High Noon Casino Mac Compatible? High Noon is one of the best options for Macintosh owners in the United States because their Flash casino is 100% Mac compatible with each and every model of Apple computers. Furthermore, if you are running Windows emulation software on your Mac you will be able to install the High Noon download casino directly onto your computer which will give you access to a few more games than their Flash casino. The High Noon casino software has become known for its solid reliability regardless of operating system, but it should be noted that the recommended browser for their Flash casino is Internet Explorer. However, we here at MacCasino.net usually test casinos in both Safari and Google Chrome, and we did not experience any issues whatsoever at High Noon in either browser. The High Noon Casino sign up bonus offers U.S. players two great options when opening up a new account with them. First off is a massive slots bonus of 200% up to $2,000 which can be claimed using bonus code “HIGHNOON200” upon signing up. The rollover on this bonus is 25x, which is extremely fair for a U.S. online casino. “Rollover” simply means the amount of times that a player must wager their deposit plus the bonus amount issued, before they can withdraw their entire balance. All online casinos attach a rollover to their bonus to ensure that players don’t just deposit, get a bonus, and then turn around and immediately withdraw the full amount without playing. Amazingly, at the High Noon Casino you don’t even need to deposit to get a great bonus. They are currently offering all readers of MacCasino.net a no deposit bonus of $60 that can be claimed by clicking HERE and signing up for a new account. You can use the bonus to play any of their slots games, (except for network progressive slots games), scratch cards, and keno. To receive the free casino bonus money be sure to enter the coupon code “SIXSHOOTER” when visiting their cashier for the first time after clicking through to their site and opening a new account. High Noon also has an automatic casino comp points program which allows players to earn points on every wager, in real time. Whenever you would like to make the exchange simply head to the cashier and redeem the points for cash, and the free money will be added to your balance. Opening a new account at the High Noon Casino takes less than five minutes from start to finish. First off, just click the big pink “Play Now” button at the top of this page to visit their join form and fill out all of the usual information, (click “Instant Play” in the bottom right hand corner of the screen to open up the sign up page). Once the form is open on your screen, fill in your email address, and your desired username and password. Next enter your name, phone number, and date of birth, (your date of birth is only used to verify that you are the real owner of the account if you ever want to contact customer service). Lastly, on the final screen fill in your street address, which is needed to send you your winnings because the High Noon Casino prefers to send withdrawals via check by mail to your residence. With a brand name like “High Noon”, you know that they are going to offer all of the classic casino games that made the Wild West famous during the days of the gold rush, and all are 100% Mac compatible. As mentioned previously in our exclusive review, the High Noon Casino offers Mac users a wide range of games in their Flash casino which is easily launched in one click of a button through their website. Therefore Mac lovers in the United States can play favorites such as roulette, craps, keno, and blackjack all on a beautiful iOS enjoying beautiful graphics that only Apple computers can provide. Although High Noon offers 100s of table games, slots, and scratch cards, where they really differentiate themselves is with their wide selection of video poker games such as, Loose Deuces, Aces and Eights, Sevens Wild, Deuces Wild, Pick Em, All American, Joker Poker, and Jacks or Better, just to name a few. So if you like to play video poker and own a Macbook Air or Pro with retina display, you will definitely want to check out High Noon. We should also mention that one of our all-time favorite game features is available at the High Noon Casino – the ability for players to set their own games list, so all of your favorite games are in one, easy-to-find place that can be launched quickly. You are free to have as few or as many games in the list as you like. Depositing real money into your High Noon Casino account can be accomplished by a number of different methods. For most players residing in the USA the easiest way to deposit will be to use a credit card such as MasterCard or Visa. 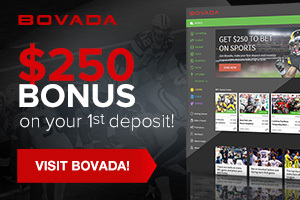 There is only a $21 minimum deposit, with a maximum amount of $1,000. When depositing with a credit card your funds are available immediately in your account and can be used to play casino games within seconds. Players in regions outside of the United States, such as Canada, will find that they have a few more deposit options available to them such as ECO Card, and the three most popular eWallets available online today: NETeller, Click2Pay, and Skrill. International high rollers will want to note that there is no deposit maximum when using NETeller, so if you would like to deposit large sums of money this is definitely the best deposit method for you. Like What You're Seeing? Black Gold Saloon pours 'em stiff but yer not seein' double! Git yer $2000 bonus cowboy! Visit High Noon! Close Open a High Noon account and start betting right away ! Play Now!